The Bruce Swedien Recording Method is an incredibly timely and timeless reference for anyone interested in capturing and mixing the best possible music recordings. From the Michael Jackson albums (Off the Wall, Thriller, Bad, Dangerous, Invincible, and HIStory), to many Quincy Jones hits (The Dude, Back on the Block, Q's Jook Joint, and many more), to classic greats from Count Basie, Duke Ellington, the Brothers Johnson, and Natalie Cole, Bruce Swedien's impact on popular music has been undeniable. Engineers at all levels still use Swedien's recordings as a standard by which they judge the sonic validity of their own work. 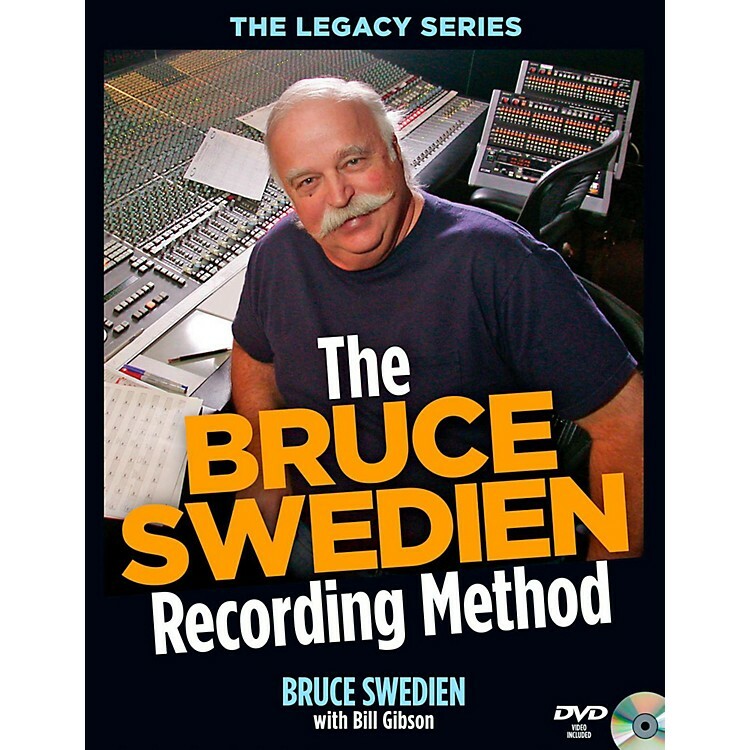 In The Bruce Swedien Recording Method, Swedien explains many of the techniques he has used to get award-winning drum, bass, guitar, keyboard, vocal, string, and brass sounds. On the accompanying DVD-ROM, he further reveals what he looks for in a recording and the steps he takes to imprint his characteristic world-class sonic signature on the music he mixes. Throughout this book, Swedien consistently pinpoints the most important considerations in the recording process, with such insights as: You don't listen to the equipment, you listen through the equipment... Nobody ever walked out of the studio whistling the console... The sound has to be so good to start with that it gives you goosebumps - the list goes on and on!